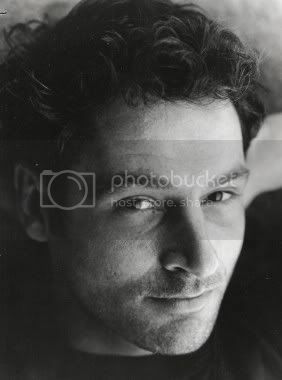 As you hurry past on your busy way, please may I beg a moment of your time for the sublime British actor, Mr Jeremy Northam, shortly to star in US tv show Miami Medical? Who he, did you say? It’s forgiven… Although Northam is one of the UK’s finest actors, he has remained almost completely hidden as a man and shuns unnecessary publicity and the trappings of celebrity with an almost phobic disdain. You could liken his approach to this aspect of his work to that of a theatre actor, perhaps. This, coupled with an astonishing versatility, and a determination to diversify and seemingly choose roles that challenge and interest him personally (rather than regarding his profession as a business and trotting out re-workings of his most popular role until it becomes too tragic to watch…yes, yes, you guess to whom I refer, but libel is a costly business!) may well mean that although he has retained his integrity, maybe it has come at some cost to his profile and therefore possibly his career. Whether this matters to Northam personally is very hard to tell. In the few interviews he has given and has touched on the subject, he seems ambivalent. He has hinted that he would like lots of people to love what he does (so long as it’s at a safe distance!). It’s a delicate balancing act, one suspects. 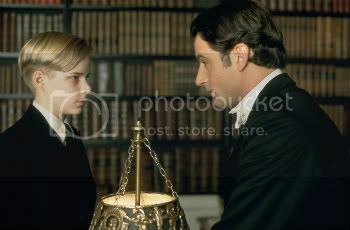 If you know the man’s work at all, it will probably be his Mr Knightley, opposite Gwyneth Paltrow, in Emma (dir. Douglas McGrath, 1996). 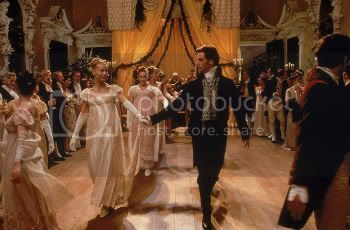 It is Paltrow who is now the superstar, yet it is Northam’s portrayal of Knightley that is the standout of this movie. 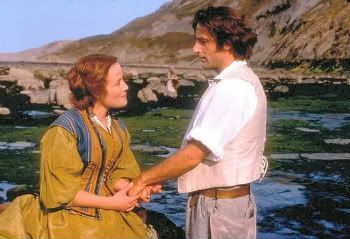 So did Northam go on to capitalise on this success and deliver another fine, seminal character from literature? Well no (and probably confounding and dismaying the many lovelorn Knightley fans) he made a contemporary horror film involving subways, giant cockroaches and slime, with Mira Sorvino (Mimic, 1997, dir. Guillermo del Toro). And very good he is in it too. He melts completely into the role of the American scientist Dr Peter Mann, and there is absolutely no vestige of Knightley whatsoever. The mark of a fine actor, but I wonder what his agent had to say…?! 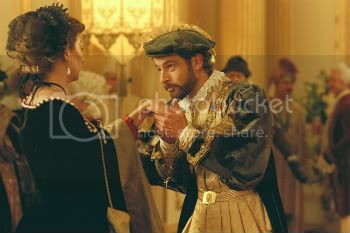 Northam has often told interviewers that he has found himself in too many period films and has constantly struggled to break free from this type of role to allow his neck to heal from the wing collar calluses! Though spoken light-heartedly, he’s said it often enough for it to be significant. 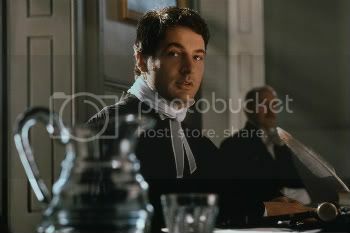 Period pieces and bad guys are the lot of the British actor, he’s said, and I think he’s right, especially if you look and sound as Northam does on camera. He has said he imagines people think he behaves like Knightley in his real life, yet one look at the occasionally snapped stubbly, mischievous, slightly dishevelled creature who looks deliciously like he’s just got out of bed gives the lie to that. 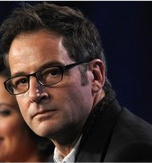 So who is the real Jeremy Northam? Reading between the lines of his interviews reveals shadowy glimpses of a complex, intelligent, well-read, thoughtful, warm man with a well-developed sense of humour…and a fierce longing for privacy. He’d really rather you looked at the parts he plays and leave him well alone. 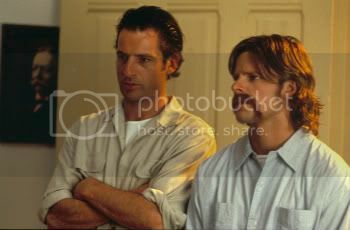 In his quest for variety and challenge Northam has made quite a number of movies which are not period pieces, and from different genres, including the warm and funny Happy Texas (1999, dir. 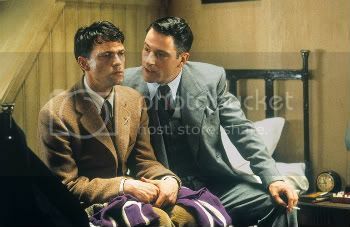 Mark Illsley) in which he plays a con on the run who pretends to be gay, and the sci fi thriller Cypher (2002, dir. 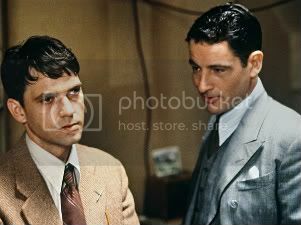 Vincenzo Natali) in which he delivers an acting masterclass as Morgan Sullivan, the company man who gradually uncovers his true identity. Sadly, none of the movies he has made which depart from the period genre have been as successful, despite Northam’s excellence. Does the variety in his roles also suggest that Northam is uncomfortable with being cast as the traditional romantic lead? 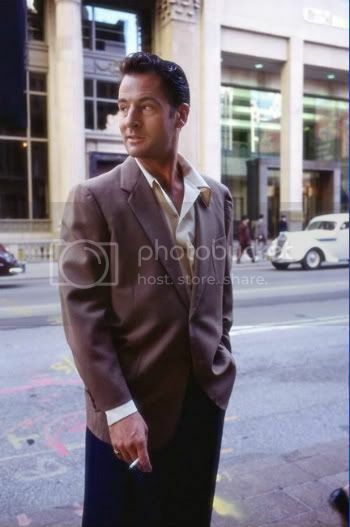 He is a tremendously beautiful and charismatic actor, and plays the leading man very well, yet maybe he is more suited, and at ease, with the more complex and varied roles of a character player. 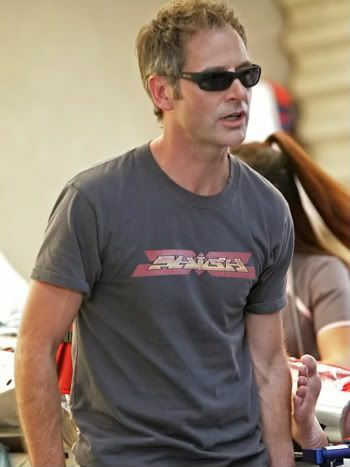 As he matures, beauty untouched, and approaches 50, more character parts are coming his way (Dean Spanley, dir. Toa Fraser, 2008, Creation, dir. John Amiel, 2009, Glorious 39, dir.Stephen Poliakoff, 2009). 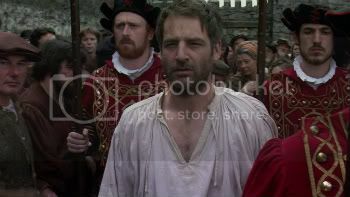 In The Tudors (Showtime, seasons 1 and 2), for example, Northam gives a tremendous and much lauded performance as Sir Thomas More, full of power and intensity, and his final scenes in the Tower and then at the scaffold certainly prove (if proof were still needed) what a very fine actor he is. It is especially admirable when compared to the quality of the rest of that particular show… I strongly suspect that the full range of his abilities and potential is yet to be fully exploited. With this in mind, regular Northam-watchers are waiting with some anticipation as he embarks on yet another twist in his career, his role as Dr Matt Proctor in a Jerry Bruckheimer one-hour tv drama series, Miami Medical, to air in the US on CBS from April 2nd 2010. 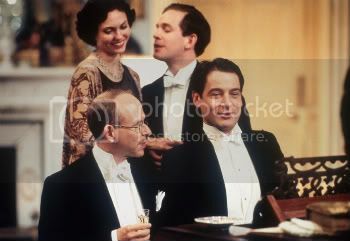 Written and co-produced by Jeffrey Lieber (so successful with Lost), Northam is the real heavyweight in the cast by some considerable way; is billed as the star and will be expected to carry the show. It seems yet another odd choice for him, especially considering the personal attention a regular, successful show might bring, but as Northam has only commented on Miami Medical briefly at the recent TCA (where, predictably, he was asked puerile questions about US tv’s other Brit Doc actor, Hugh Laurie), it’s impossible to know what really drew him to accept the role. We must wait and trust! 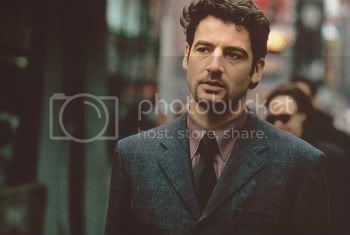 One thing is for certain, Jeremy Northam will be excellent.